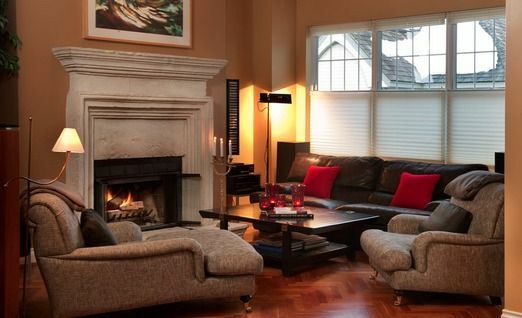 Stylish and inviting, warm and comfortable - Whistler Elegance is a resort unto itself. Ideal for two families, three couples, or groups of up to eight friends, this four-bedroom townhouse is designed in French country and contemporary Italian decor. Large picture windows open to stunning views of snow-capped peaks. Ski-in/ski-out parking privileges offer the best of both worlds: convenient access to the village center and a quiet place to retreat. In winter or summer, Whistler Elegance offers the best in private, luxury accommodations. You will receive confirmation of your reservation within two days. If you cancel more than 45 days before your arrival date, your deposit less the cost of one nightâ? ?s stay will be refunded. If you cancel fewer than 45 days before your arrival date, you will be charged a minimum of one nightâ? ?s stay; you may forfeit all monies paid if a replacement booking cannot be found. We will make every reasonable effort to find other guests to take your rental period. We recommend that you purchase cancellation insurance. We do not give refunds for early departure. We require at least one guest in the unit to be over 25 years old. A reservation is for a specific number of guests. Parties larger than the agreed number at time of booking will be subject to eviction unless there was a confirmed prior arrangement. We reserve the right to refuse or interrupt service to any customer due to excessive noise or property abuse. Please be considerate and observe quiet time of 11 p.m. to 8 a.m.. The booking guest and all members of the said guestâ? ?s party (the â??Guestsâ?) agree to conform to all notices, rules and instructions in and about the home. Guests are responsible for their own conduct and that of any invitees. We (the â? ?Property Ownerâ?) reserve the right, in its sole discretion, to refuse or interrupt occupancy in the event of any non-fulfillment or breach of rental conditions. We (the â? ?Property Ownerâ?) shall not be held liable for any losses, claims, damages, costs or expenses arising out of any theft, accident, injury, death, damage, delay, inconvenience or distress, whether or not arising by the negligence of the property owner, and the Guests hereby waive any and all such liability. Wake up to breathtaking snowy mountain peak views from every window. Watch the skiers on the slopes of Whistler/Blackcomb from the kitchen while you make a steamy latte and plan the daysâ?? runs. A five minute trip into town with complimentary ski-in/ski-out valet parking at the Hilton, or hop the bus that arrives every 15 minutes to the lifts. After a day on the slopes, slip into your private hot tub to sooth those skiers muscles and watch the Alpine glow as the light bounces off the slopes youâ? ?ve been tackling that day. For dinner, cook up something sumptuous in our gourmet kitchen. Lots of space sit together, cook, talk, drink wine and recount the days adventures. After dinner, sink into the comfy generously sized sofas and chairs and throw a log on a crackling French style stone fireplace. Put on the popcorn and snuggle into a movie. Feel like taking in some of the nightlife in the village? How about a beautiful moon light walk down the lit valley trail into town to hang out in one of Whistlers many restaurants and bars and be part of the international scene. Basic rate applies to: Spring â?? Fall	May 1 â?? Nov 24 April	Apr 21 â?? Apr 30 Confirmation You will receive confirmation of your reservation within two days. Cancellation If you cancel more than 45 days before your arrival date, your deposit less the cost of one nightâ? ?s stay will be refunded. If you cancel fewer than 45 days before your arrival date, you will be charged a minimum of one nightâ? ?s stay; you may forfeit all monies paid if a replacement booking cannot be found. We will make every reasonable effort to find other guests to take your rental period. We recommend that you purchase cancellation insurance. We do not give refunds for early departure. Customer Discretion We require at least one guest in the unit to be over 25 years old. A reservation is for a specific number of guests. Parties larger than the agreed number at time of booking will be subject to eviction unless there was a confirmed prior arrangement. We reserve the right to refuse or interrupt service to any customer due to excessive noise or property abuse. Please be considerate and observe quiet time of 11 p.m. to 8 a.m.. Liability The booking guest and all members of the said guestâ? ?s party (the â??Guestsâ?) agree to conform to all notices, rules and instructions in and about the home. Guests are responsible for their own conduct and that of any invitees. We (the â? ?Property Ownerâ?) reserve the right, in its sole discretion, to refuse or interrupt occupancy in the event of any non-fulfillment or breach of rental conditions. We (the â? ?Property Ownerâ?) shall not be held liable for any losses, claims, damages, costs or expenses arising out of any theft, accident, injury, death, damage, delay, inconvenience or distress, whether or not arising by the negligence of the property owner, and the Guests hereby waive any and all such liability. Extra person fee of 50 per person per night after the first 8 guests.